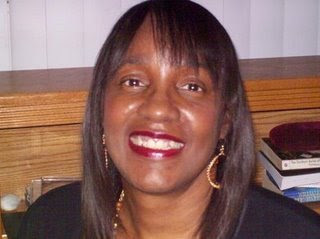 Author Michelle Larks is a wife, mother and IT professional. In my opinion she should add consummate hostess to her list of abilities. Speaking with Michelle via telephone is akin to being ushered into the inner sanctum of her suburban Chicago home. Exuding a disarming candor Ms. Larks invited me into a conversation that most reserve for close friends. In doing so I believe that beside the word vulnerability in the dictionary, we will now find her picture. During our short time together Michelle shared the story of how she and her husband had to escape from their burning home. I expected her words to revolve around all the things she had lost, but they did not. Michelle, in her soft-spoken voice relayed the reality of that moment. That reality was that although she was offered help, it was refused. She refused the help believing that things were not as bad as they seemed. Reality opened her eyes to the fact that things were bad in terms of the damage done to the home. Even at that Michelle made the best of the situation – she and her husband checked into a hotel. Anyone who has had to live through a remodel can attest to the fact that the timeline can become quite an inconvenience. Yet it is often in our inconvenience, our patience, our experience with that which is not a part of our ordinary routine where our greatest lessons are learned. What was the lesson Michelle learned? What Michelle candidly revealed was that it took this experience to show her that needing others, being able to depend upon and accept the blessings awaiting you does not label you a burden or inept. She was able to break out of what could have held back/blocked her blessings when she chose to share her needs with others. When she chose to accept what she would have unselfishly given to others, blessings poured in. They poured in to the degree that with a book signing on her agenda and no clothes to wear, a business outfit came in the mail from someone in her online writing group. When asked what she would like readers to know about her and her works her answer touches personal aspects of the life she has lived. Michelle is a people person, one who does not pass judgment, but will give advice when asked. Within the pages she writes her focus is set upon family dynamics. She desires to show how people interact and how individual lives and family can be empowered by effective communication. This was a great dialogue. Thank you for stopping by Renee. Michelle is quite an inspiration and encourager. Linda, thanks for introducing your readers to Michelle Larks today. Great conversation! Thank you and Michelle for the opportunity Ms. Ty. Thank you for participating in my blog tour! It has been my please Michelle.